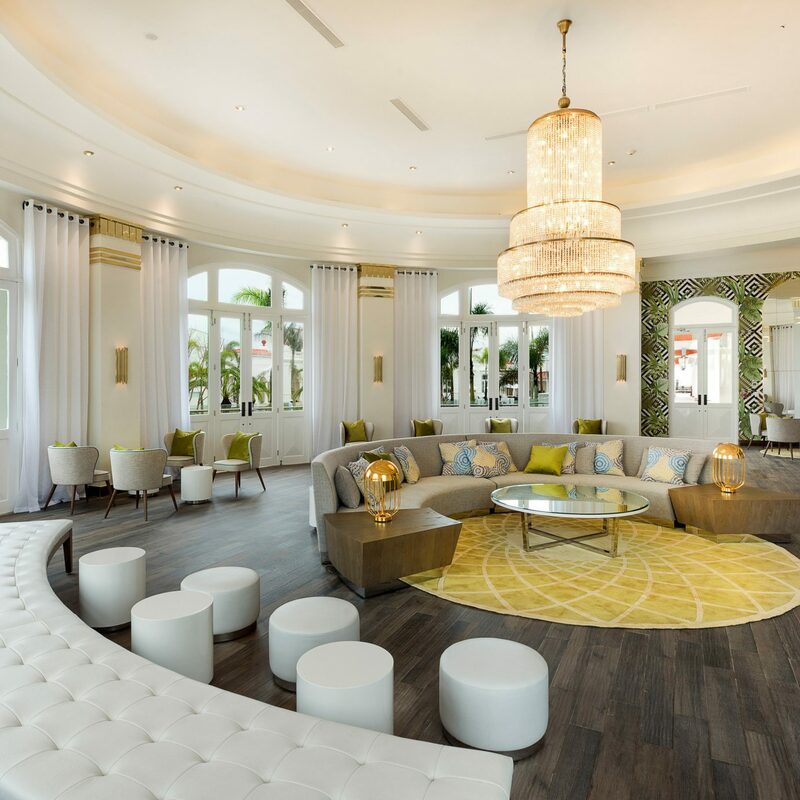 In 30-suite Tortuga Bay, fashion designer Oscar de la Renta has created a resort-within-a-resort focused on romantic escape, stellar service and an impeccable design that plays off the natural beauty of the Dominican Republic. 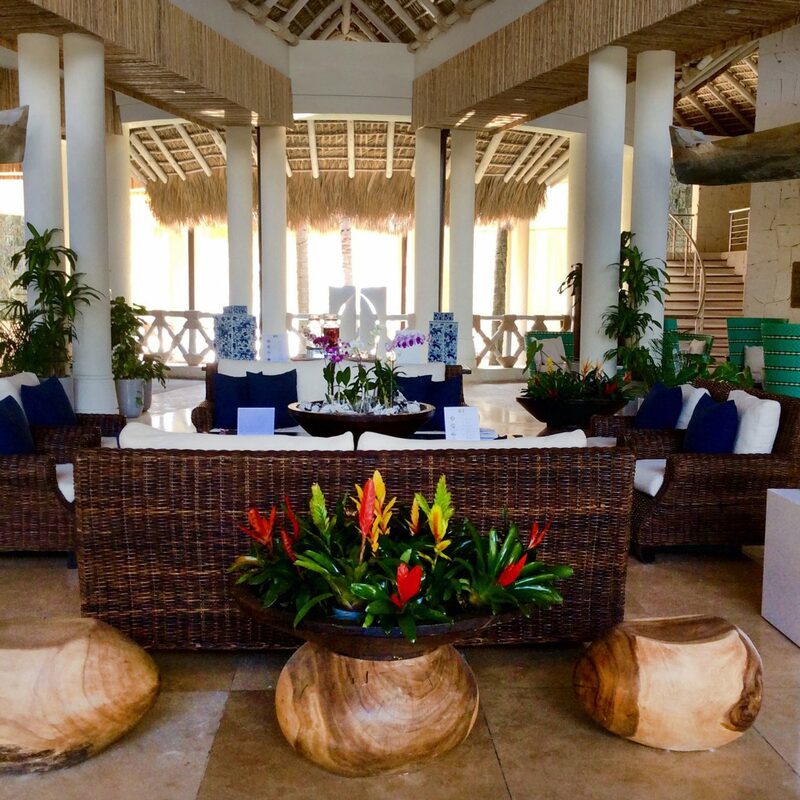 Start your vacation as soon as you land: the hotel’s staff greets guests at the Puntacana Resort & Club airport lounge and ushers them from tarmac to sublime beach in minutes. 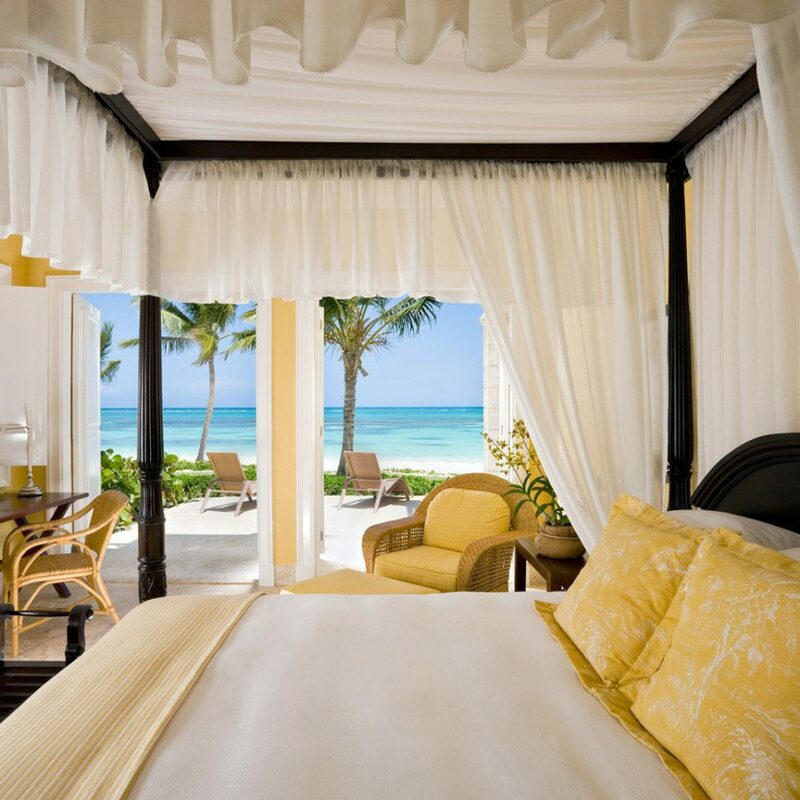 Upon arrival you’ll find 13 chic, canary-colored villas containing 30 suites spread out across the beachfront property. 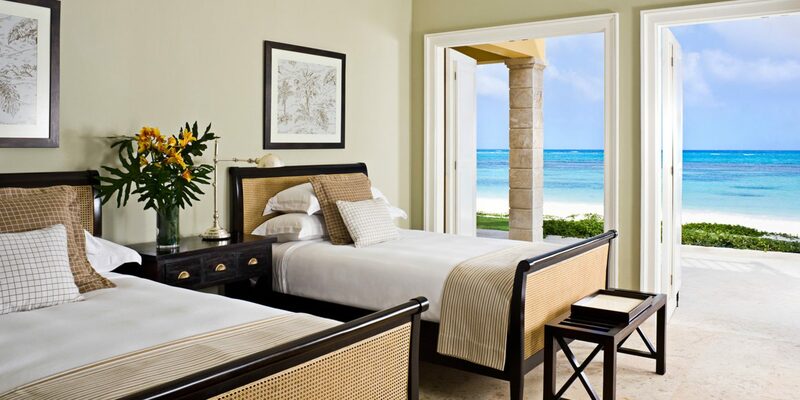 French doors open onto a deck or balcony (some with private Jacuzzis) for views of the palm tree–lined beach; inside, you’ll find tan and black wicker furniture, four-poster beds, and vases of fresh flowers on dark wood end tables, and a kitchenette area. 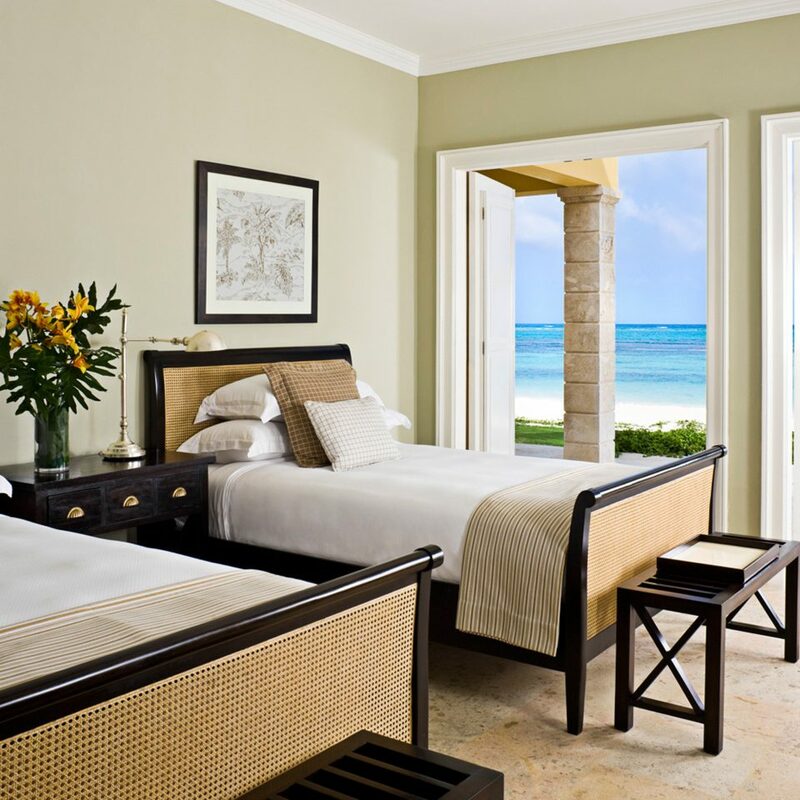 All rooms also come with their own personal golf cart, cruiser bike (available on request), and cell phone with a direct line to a “villa manager”—a personal concierge of sorts. For breakfast, the hotel’s excellent restaurant, Bamboo, is not to be missed. 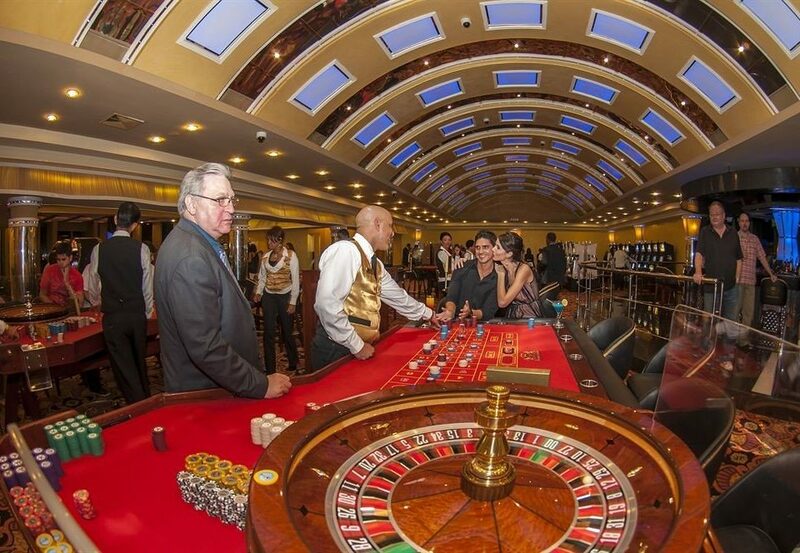 Choose from a lavish buffet or an à la carte selection; both are included in the rate. After a day at the hotel’s private beach, it’s best to grab a seat poolside at Bamboo Bar, which serves up top-notch half-price caipirinhas and mojitos from 5 to 7 p.m. 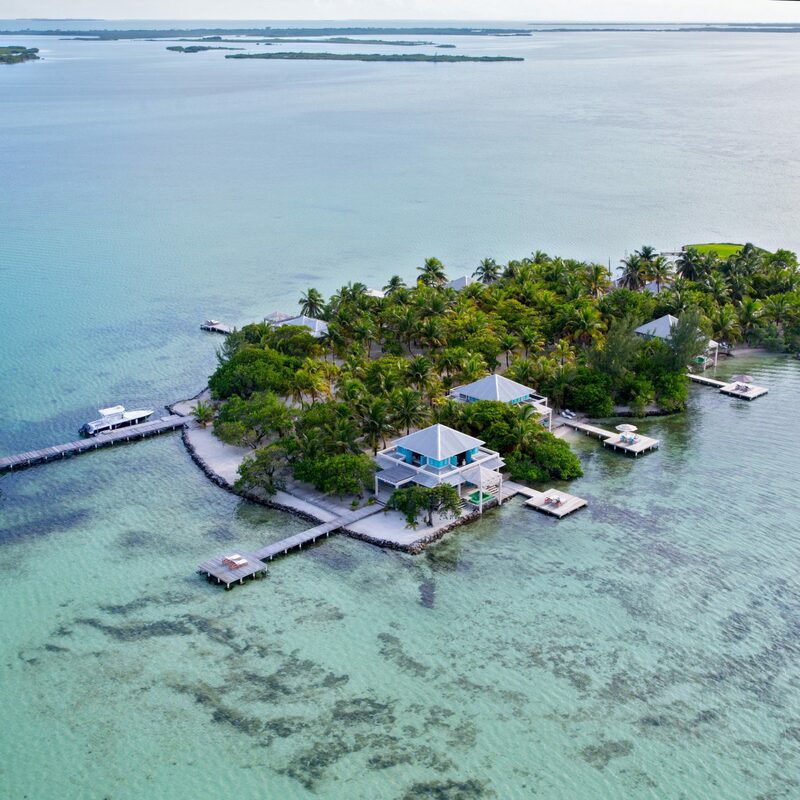 The resort also offers many options for active types, including kiteboarding, scuba diving and snorkeling at a nearby reef, as well as tennis on six clay courts, which are lit at night. 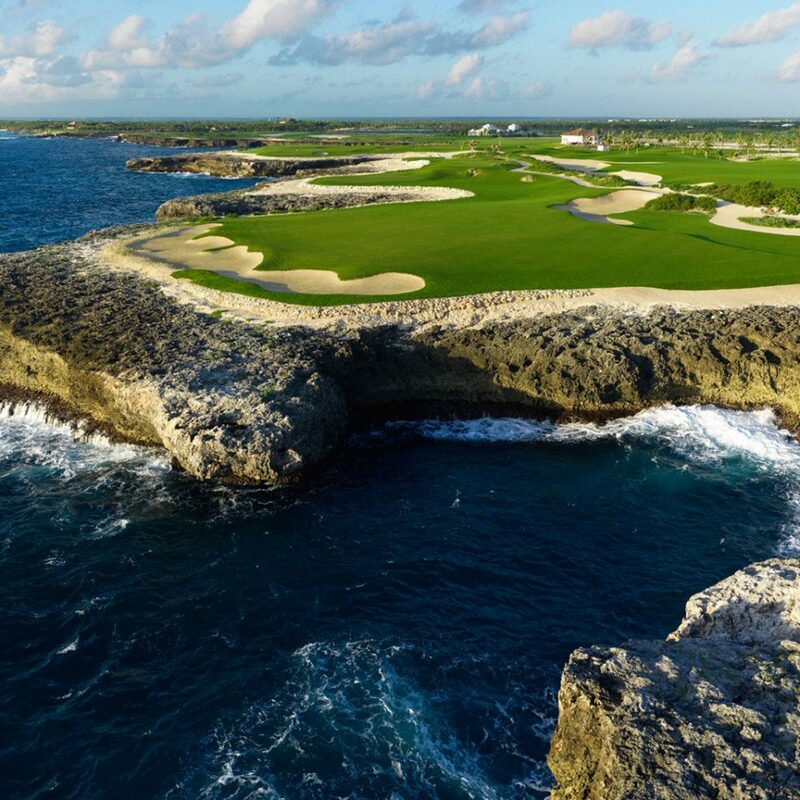 The golfing here is also excellent, especially at the oceanside La Cana course, which has four holes right on the water. Hit the water and take advantage of the strong winds at nearby Playa Blanca, where the resort’s concierge can arrange a kiteboarding lesson. Or head beneath the waves with a snorkel at the underwater Marinarium Park, where visitors can explore the reef and deeper waters where stingrays and nurse sharks glide past. On dry land, stroll the leafy trails (for free!) 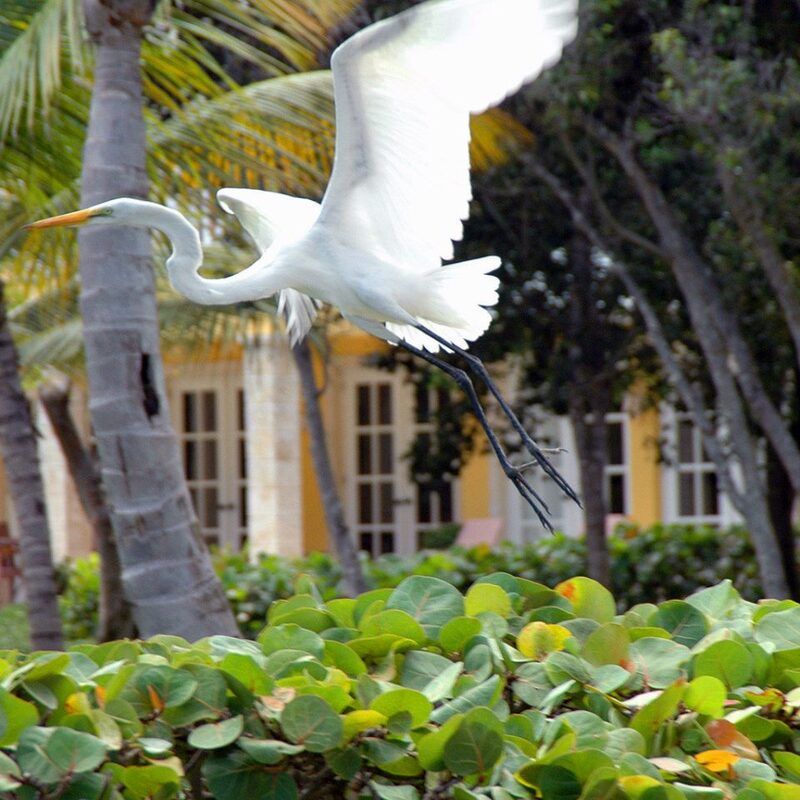 of the 1,500-acre Indigenous Eyes Ecological Reserve and Park, where you’ll see tropical plants, island palms and other local vegetation. Afterward, unwind with a “champissage,” an Indian scalp massage designed to maximize blood flow and relieve stress, at the resort’s sumptuous Six Senses Spa. 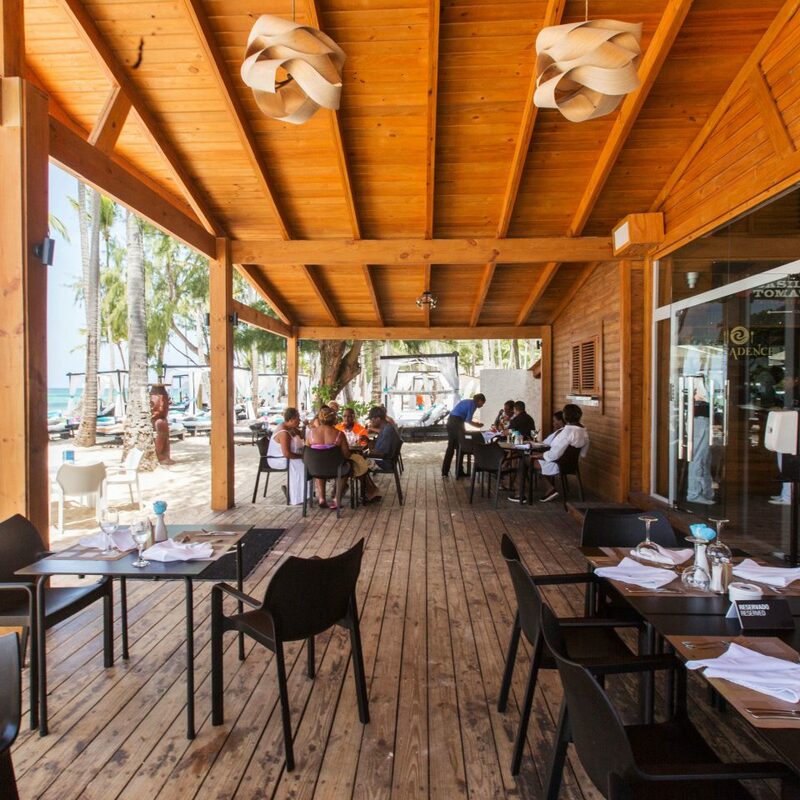 When hunger strikes, head to local favorite Jellyfish restaurant on the beach near Bávaro. Try grilled crustaceans, calamari and conch served under palapas with views of the sea. Our family (includes 2 tween boys) stayed here over Spring Break and it was amazing. 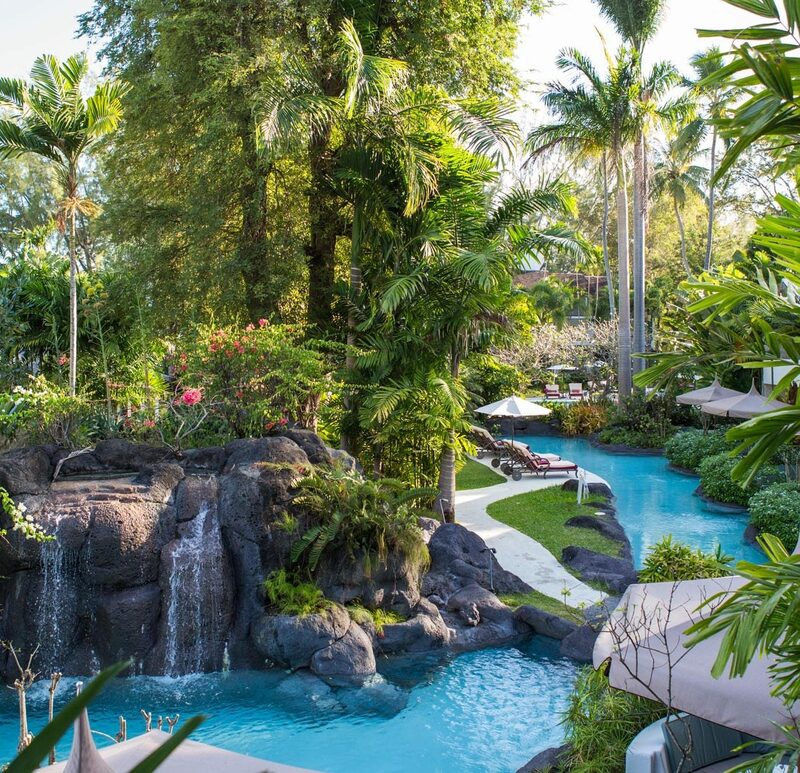 This resort is one of the top we've experienced anywhere in US/Europe/Caribbean. The service you receive just stepping off the airplane is 1st class- and that continues on the way to hotel and all during your stay. The villas are beautiful and sit right on the ocean, where you have your own private beach (sharing with just the guests staying in the 13-or maybe it's 15- other villas). The resort is cosy, high-end, pristine, beautiful, remote and warm. The staff takes great pride in their work and provide high-quality, professional service. Be prepared for "dominican time' as we did have to wait for food and beverage but that is part of the culture. All the food/drink is worth the wait. Each villa has its own 'villa manger' who will be in constant contact with you (via a given cell phone) to accommodate all your needs. We even had a BBQ outside our room 2 nights we stayed. It was truly amazing. We did eat at a few of the other restaurants associated with the hotel, but found the main restaurant (Bamboo) the best. Breakfast (included) every morning was wonderful and chef will make you something else if it's not out for you. The service at the beach is amazing and you have their attention constantly (again just be prepared to wait for food/drink). The spa is very nice. There is plenty of golfing and tennis. There are also 2 workout facilities to use. 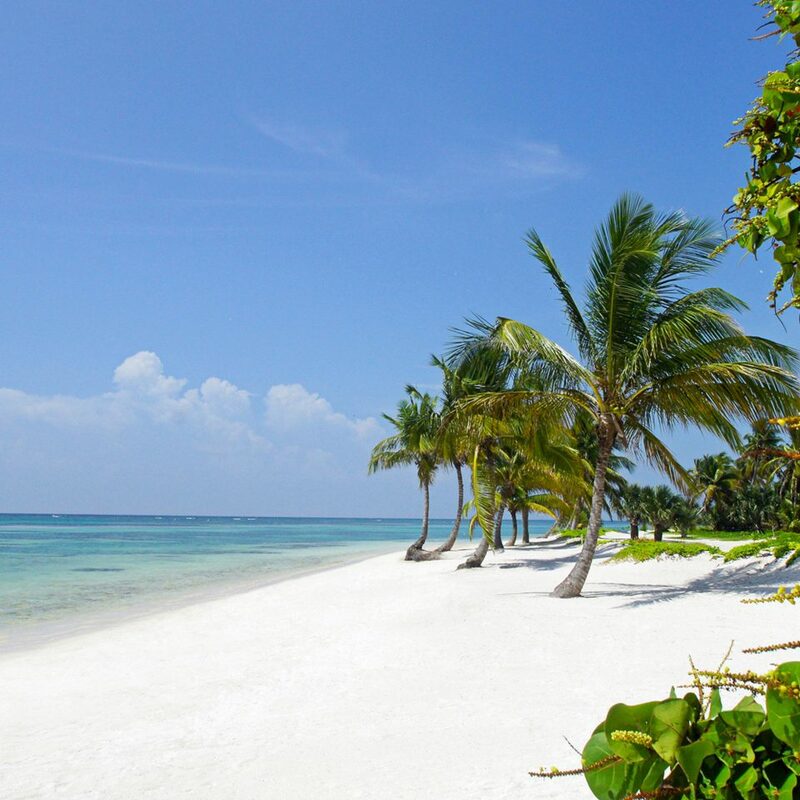 This type of trip is best for those that want to unplug and immerse themselves in the culture, slower pace and tranquility of Punta Cana. I have travelled all over the world. 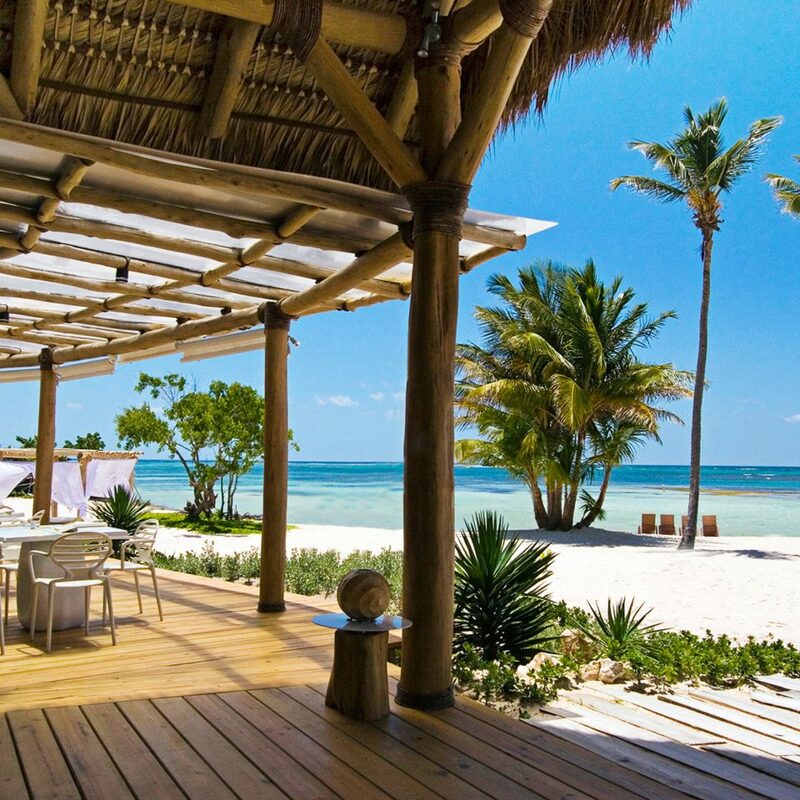 Tortuga is a world class 5 star hotel. Intimate. Luxurious. Attentive service. 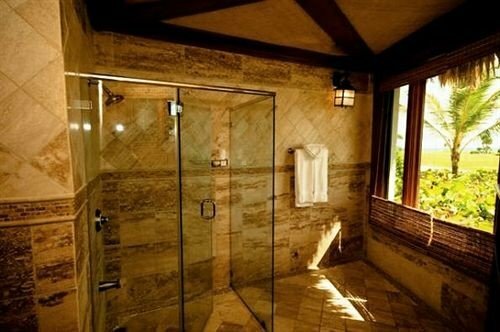 Amazing rooms. I mentioned it was my gf birthday and that night we had a birthday cake celebration in our room at night. Food. Service , spa. All of it incredible. I rarely write reviews but I had to for Tortuga bay. This is one the best resorts I’ve stayed at by far. From the minute you land (vip service will wait for your right when you get off the plane and walk you right through customs). Hotel service was top notch. Can’t wait to go back again. My wife and I had the pleasure of eating at Bamboo Restaurant in Tortuga Bay. What a wonderful experience! The food and atmosphere were outstanding; However the thing that put this particular experience over the top was Cesar who attended to us throughout the evening like we were this family. He made us feel welcome and comfortable. It is people like Cesar that make the difference in the way we experience a special place like Bamboo, so much so that the passion he has for what he does and how he interacts with people, is uplifting. 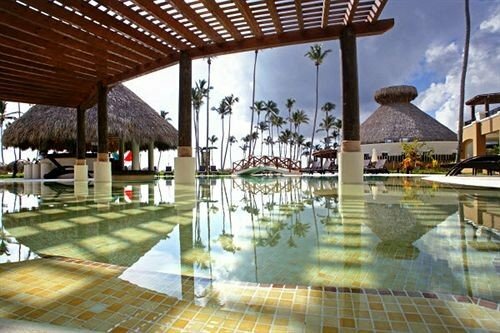 We will cherish our memories from Bamboo and we will recommend it to anyone wanting the experience the best in Punta Cana. We look forward to our next visit. I booked this hotel from a third party travel site that I use frequently and thought nothing of it until i read a google review that said beware they will cancel your reservation without warning. I called the resort and to my surprise they didn't honor my reservation 8 days before my trip I get this news and they could care less. I was told to contact the booking agent and they didn't care and it wasn't there problem. I never got an explanation as to why our reservation wasn't honored my guess was the great rate I was given with that being said be careful you do not wanna travel to your destination without a place to stay. Thank God Cheapoair.com made it right I was upgraded to TRS Cap-Cana All Inclusive ocean view suite and me and my wife enjoyed our stay there.